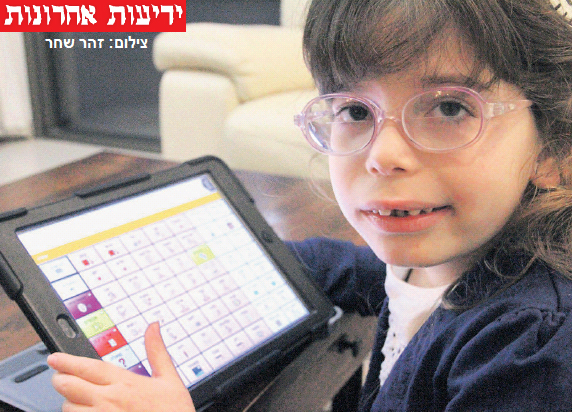 The victory of little Yael, just 6-1/2, who has cerebral palsy (CP) and cannot speak: A special computer that will enable her and another 625 patients to communicate with the people around them was finally included, for the first time, in Israel’s Ministry of Health Basket List of subsidized medical equipment. “This is a gigantic gift,” says her mother, Dana. Yonit Hagoel-Karnieli, Director of Ezer Mizion’s Speech Generating Devices Lending Center and the one who led the battle that led to this major achievement, announced today: “Israel’s Ministry of Health Basket Committee has recognized the basic human right to speech!” Continue reading Victory!